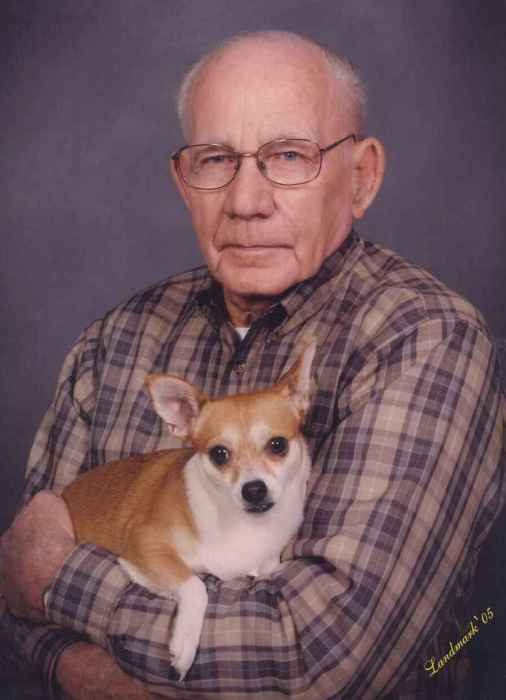 Funeral services for Elliott S. Brock, age 91, will be held Thursday at 4:00 at the First Baptist Church Of Pine Ridge. Rev. Wayne Cash, Mr. David Guest and Mr. Pat Kissiah will officiate. Burial will be in the First Baptist Church of Pine Ridge Cemetery directed by Norton Funeral Home. Visitation will be Wednesday 5-7 pm at the funeral home. Mr. Brock was born in Chesterfield a son of the late Ernest & Mary Gaddy Brock. He was a member of the First Baptist Church of Pine Ridge. He was a big part in the founding of Brock’s Grading and Land Clearing (LLC). He was a member of the McBee Masonic Lodge. He was the co-founder of the Lake Robinson Rescue Squad where he served as Captain. He served as Fire Chief of the Pine Ridge Fire Department. Surviving are his wife of 72 years, Olivia Teal Brock, Hartsville; one daughter, Lynn (David) Guest, Hartsville; three sons, Terry (Rebecca) Brock, Hartsville, Gerald Brock, Hartsville and Robbin Brock, Hartsville; four grandchildren, Mike Brock, Rocky (Brittney) Caddell, April Davis and Jason Guest; four great grandchildren, Polly Teal, Rowan, Thor and Quill Caddell. Special friends Abel & Marlene Nerrie and Rubina McCathern. Memorials may be made to the First Baptist Church of Pine Ridge, 3901 West Bobo Newsome Highway, Hartsville, S.C. 29550, Pine Ridge Fire Department, 3849 West Bobo Newsome Highway, Hartsville, S.C. 29550 or to the Fellowship of Christian Firefighters International, 249 Rochichi Drive, Boydton, VA 23917. Norton Funeral Home is honored to serve the Brock family. This obituary is being posted as a courtesy to the Brock family by Miller-Rivers-Caulder Funeral Home.